Dress to impress with the Harriton Men’s Long-Sleeve Twill Shirt. Features a full back yoke, back pleat and two-button adjustable cuffs. 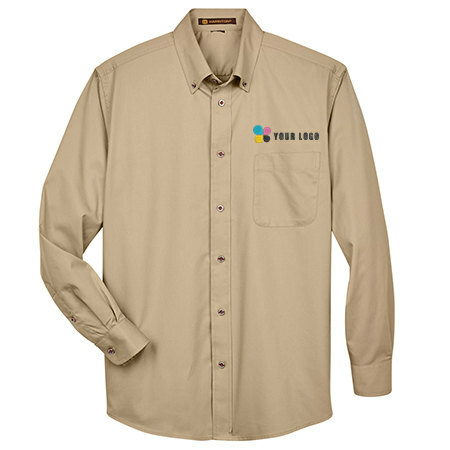 Customized with your logo, they are the perfect dress shirt for trade shows, exhibitions and sales calls.